Coral reefs around the world have been suffering in recent years from warming ocean temperatures as well as from increasing ocean acidification. Corals are very sensitive organisms that can only tolerate relatively slight changes in their environment. Thus, the majority of reef-building corals are found in tropical and subtropical waters with favorable conditions. 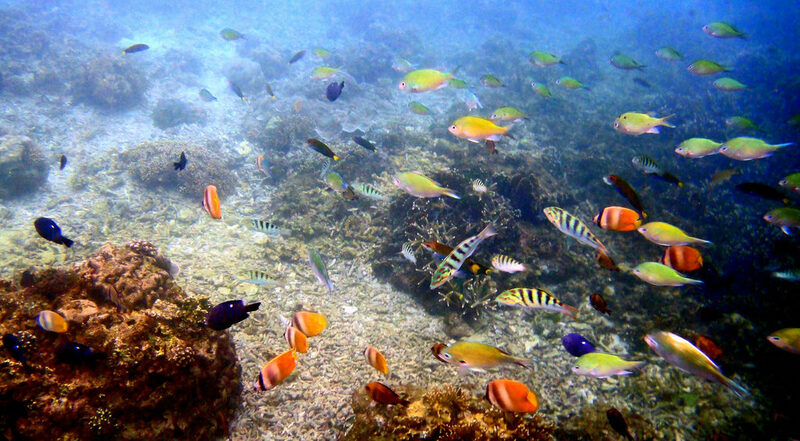 New research has confirmed that drastic changes in ocean salinity from, for example, severe freshwater flooding, provoke similar stress responses in corals as the heating that has resulted in freshwater bleaching and, eventually, coral death. The coast of northeast Queensland in Australia has experienced abnormal monsoon-related freshwater flooding that caused extreme and sudden changes in the ocean salt concentration. In places, nearshore reefs were exposed to water with only half the normal ocean salinity. The result has been a shock response in corals that prevents normal cell function. Unlike their response to heat stress, corals exposed to reduced salinity experience a complete collapse of their internal cellular protein balance. The central Great Barrier Reef has actually been relatively free from mass thermal bleaching events this Australian summer, but many coastal reefs instead have been battling dramatic changes in water conditions as a result of massive plumes of floodwater. The wild weather in Australia is undoubtedly associated with the changing climate and this new research shows that it is leading to yet another threat to the world’s coral reefs. With the frequency and severity of heavy rainfall and runoff events predicted to continue to increase over the next few decades, proactive measures to increase the resiliency of coral reefs are needed more than ever. Photo, posted December 12, 2010, courtesy of Gareth Williams via Flickr.